Hey Redskin Family!! 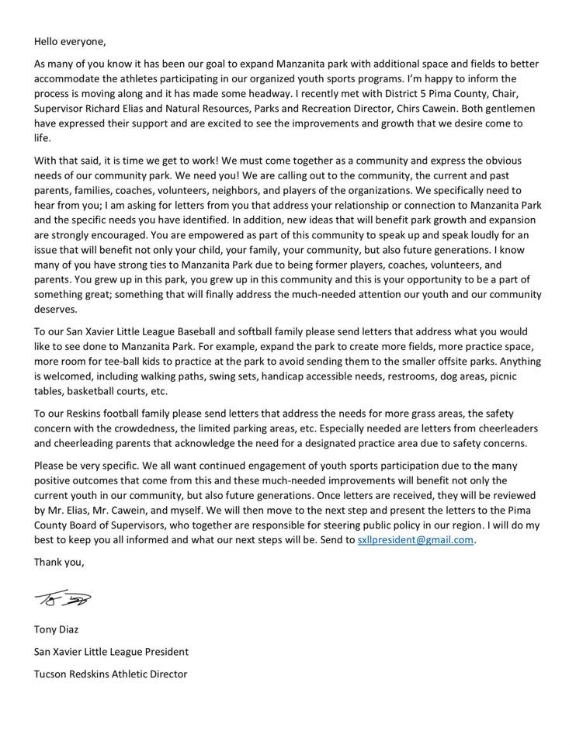 Let’s help expand our beloved park!! All letters can be emailed to the attached email on the letter. Any hand written and typed out letters can be delivered to the snack bar at Manzanita park. We need these letters ASAP. The goal is 200-300+ letters. Thank you everyone!